This Billet Aluminum Fuel Rail system was designed to fit the 944S2 or the 968. The fuel rail has 3/8" NPT holes located on the front and the rear of the rail. Underneath both the front and rear of the rail, are threaded holes for -6 port sizes. Those can be utilized, or plugged. 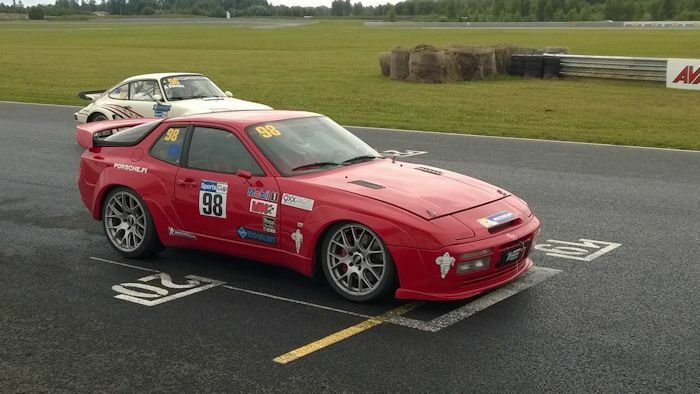 The 968 was not fitted with a fuel damper from the factory. The 944S2 was. It's your option whether or not you want to purchase and install the Fuel Damper. We have a 944S2 set-up that retains the factory fuel pressure damper. This is the our basic starter kit for those wanting to do all their own plumbing and components. This kit does not include any hose, fittings or other components. If you want something complete and ready to bolt on the car, then one of our kits below would be your choice. This set-up fits both the 968 and the 944S2. It utilizes the stock fuel pressure regulator by using our Lindsey Racing Bosch fuel regulator adapter that attaches directly to the back of our fuel rail. You can use your original regulator, or buy our billet adjustable fuel pressure regulator #4509. This set-up DOES NOT use a fuel pressure damper. The 968 did not come with a fuel pressure damper. The 944S2 did. We are not sure why the change, since they are similar set-ups, displacement and injector size. It's your choice if you want to use this kit on the 944S2 and eliminate the damper. This 944S2 fuel rail kit utilizes the Lindsey Rail, the Stock style fuel pressure regulator. This set-up is for 944S2 only. Like the above kit, it utilizes the stock fuel pressure regulator by using our Lindsey Racing Bosch fuel regulator adapter that attaches directly to the back of our fuel rail. You can use your original regulator, or buy our billet adjustable fuel pressure regulator #4509. But the main difference is this still uses and stock fuel pressure damper. We bring the fuel into the damper, then from the damper to the fuel rail, just like the original line set-up. 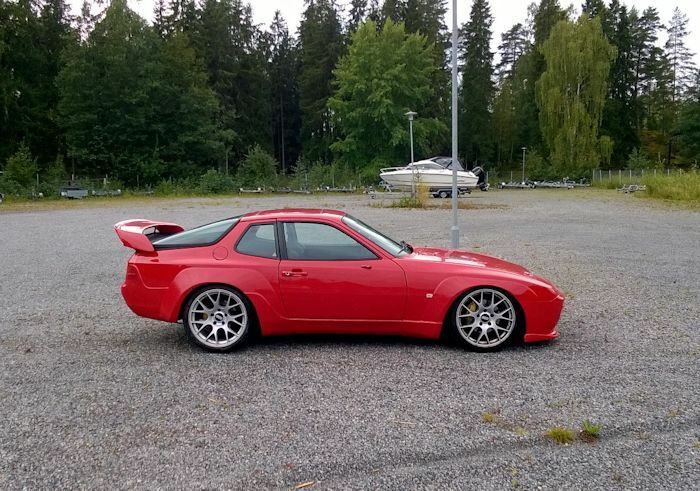 This set-up fits both the 968 and the 944S2. It utilizes the remote mounted fuel pressure regulator but does NOT come with or use a fuel pressure damper. The 968 did not come with a fuel pressure damper. The 944S2 did. We are not sure why the change, since they are similar set-ups, displacement and injector size. It's your choice if you want to use this kit on the 944S2 and eliminate the damper. This kit comes with a 66" length of fuel line then must be cut to length and the fittings installed by the end user. Since there are several place you could choose to mount the fuel regulator, we wouldn't know what the line lengths needed to be. This set-up also fits both the 968 and the 944S2. It utilizes the remote mounted fuel pressure regulator but this version utilizes a billet aluminum fuel pressure damper. The 968 did not come with a fuel pressure damper. The 944S2 did. We are not sure why the change, since they are similar set-ups, displacement and injector size.